After having lunch at a wonderful inner yard near the duomo I came across the famous clock tower of Udine. The tower is part of the Loggia di San Giovanni at the Piazza Libertà. 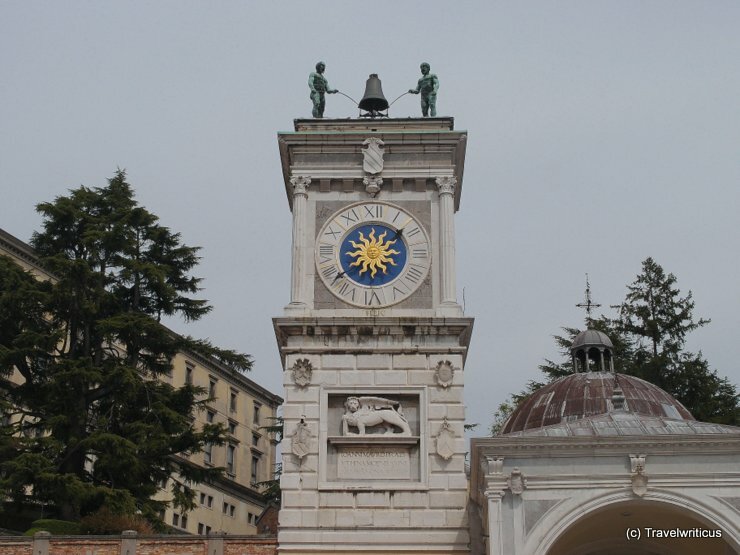 This entry was posted in Public Clocks and tagged Friuli-Venezia Giulia, Italy, Udine by Travelwriticus. Bookmark the permalink.